In advance of the highly anticipated opening of the first Four Seasons hotel in Spain, Christoph Schmidinger has been appointed opening General Manager to oversee the new luxury hotel set to open in late 2019. Four Seasons Hotel and Private Residences Madrid will be located in the heart of the historical city center, converting several spectacular heritage buildings into a 200-room hotel and 22 Private Residences. Schmidinger started his Four Seasons career 25 years ago, and after a series of international assignments in Singapore, Chicago, Atlanta, Jakarta and Kuala Lumpur, he assumed leadership at the landmark Four Seasons Hotel New York in Midtown Manhattan, overseeing several other properties as Regional Vice President. His ascent in the company continued when he was appointed General Manager and Regional Vice President to the company’s flagship property in Asia, Four Seasons Hotel Hong Kong, where he has been since 2014. Under his leadership, Four Seasons Hotel Hong Kong, home to the first Cantonese restaurant in the world to earn three Michelin stars, set the global record for the most Michelin stars at a single hotel. The Hotel has also been widely regarded as one of the finest luxury hotels in China, and around the globe. Truly an international individual, Schmidinger has travelled extensively, starting at a young age with his family, and speaks four languages. Combining his love for travel and hospitality, he studied at the Certificate of Hotel and Tourism Administration Academy in Salzburg, Austria before holding managerial positions at renowned hotels around the world, and then joining Four Seasons. a partnership agreement was signed by Skål International and Biosphere Tourism in the frame of the 2019 Skål Sustainable Tourism Awards. The Skål Sustainable Tourism Awards were launched in 2002 to spotlight best practices in terms of sustainable and responsible tourism around the world, enhance the visibility and grant recognition to entities from the tourism industry. In its 18th edition, a special Skål Biosphere Award will be presented to one of the submissions received. The selection of the winner will be based on the pillars of sustainability of the Responsible Tourism Institute (RTI). Applications for the 2019 Sustainable Tourism Awards are open until 31 May. All public and private sector companies, educational institutions, NGOs and government agencies are welcome to enter. The official announcement of the winners will take place on 15 September during the Opening Ceremony of the 80th Skål World Congress, to be held onboard the Royal Caribbean “Symphony of the Seas” from 14 to 21 September 2019. Biosphere Tourism develops certifications to guarantee an adequate long-term balance between the economic, socio-cultural and environmental dimensions of a Destination, reporting significant benefits for a tourism entity, society and the environment. This certification is granted by the Responsible Tourism Institute (RTI), an international non-profit NGO, in the form of an association, which has promoted, for more than 20 years, responsible tourism at an international level, helping all the actors involved in the tourism sector develop a new way of traveling and of knowing our Planet. Is this the new way to fly? Naked? A male passenger dressed only in his birthday suit was spotted trying to board his flight completely naked while walking across the tarmac at Chicago O’Hare International Airport. The bizarre scene happened just days after a similar incident saw another traveler attempt to board a plane without any clothes on. A tweet, which was shared by ORD Airport Insider, reported that the passenger was allegedly detained at Gate C10 after walking from E12 at Chicago O’Hare’s Terminal 1. According to the tweet, the naked individual had been attempting to board a Delta flight – although this hasn’t been confirmed. In the photo, the man appeared to have been given a safety vest to wear around his waist to cover himself up. It is unclear how the man got onto the tarmac or when he got naked. 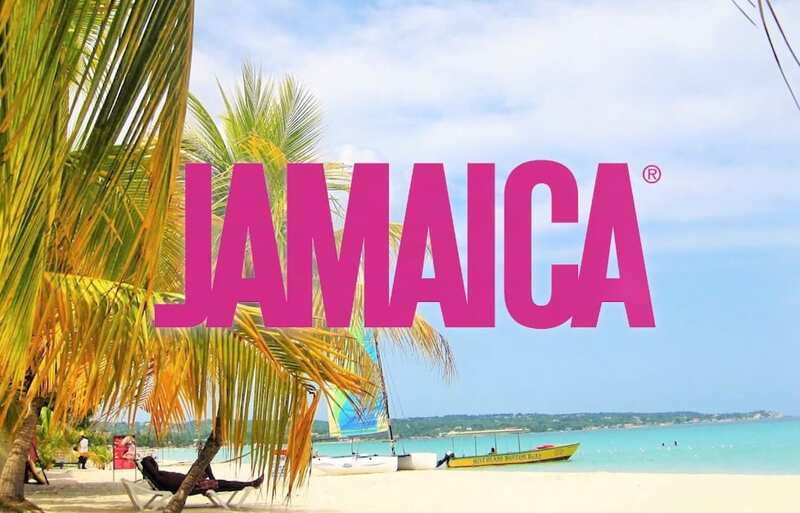 Safety and security are becoming the center point and the basis of a new way forward for the visitors’ industry on this Caribbean Island nation according to Jamaica’s Tourism Minister, the Hon. Edmund Bartlett. I spent Yesterday in meetings dedicated to innovative ideas regarding tourism surety, that is the point where safety and security meet economic development and reputation. During the day I had the chance to meet not only with the minister of tourism but also the minister of public safety and security. We discussed a great many issues: From tourist security to security for Jamaica’s citizens, from technology to the need for police raises, from the fact that in the long-run prevention is less expensive than crisis management. What we meant by that last statement was that the best way to handle a crisis is to avoid it if at all possible. This discussion leads to the question of risk, and the reality that to be alive is to deal with risk. Many of these same discussions are being held around the world. What I have found unique here in Jamaica is not only the open dialogue, but the willingness intellectually to debate the issues and the realization that a tourism center must always seek ways to reinvent itself. Tourism dare not be satisfied with past success but must also think creatively about future problems. An example of the rapid changes faced by the world of tourism is the knowledge that we live not only in a world of social media but also in a hyper-connected world. Ours is a new world where a smartphone can create a revolution, and where the solving of one problem all too often produces new problems and unintended consequences. For those who have studied Hegelian philosophy, we see that tourism, like society, is a constantly changing dynamic and perhaps the industry’s biggest threat is the fear of meeting new situations, analyzing them, and seeking solutions in a world without permanent solutions. What I have learned once again here in Jamaica is that in life there are no easy solutions, but despite this reality, we dare not flee from the challenges of an ever-changing world; to do less is to run from the ethical and enter into a den of paranoia. Having debated great issues all day with Jamaican colleagues I have come to understand that the real beauty of this land goes beyond its mountains and its beaches but in the creative spirit of its people. They have taught me once again that change is a part of life and that either we control the change or it will control us. Dr. Peter Tarlow is leading the new eTN Travel & Tourism Safety Training Program, a partnership between Tourism & More, Inc. and the eTN Group. Tourism and More has been working for over 2 decades with hotels, tourism-oriented cities and countries, and both public and private security officers and police in the field of tourism security. Dr. Tarlow is a world-renowned expert in the field of tourism security and safety. He leads the eTN Travel Security and Safety Training team. For more information, visit travelsecuritytraining.com.